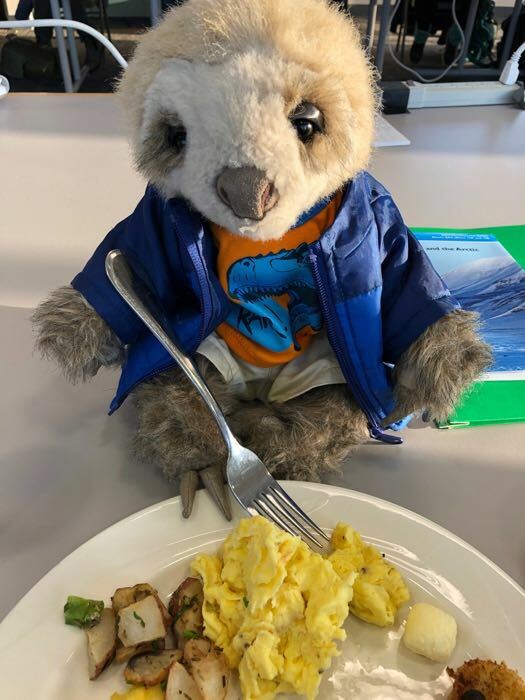 2 April 2019 Our expedition will have a mascot joining us! Submitted by Alejandra Martinez on 1 April 2019. 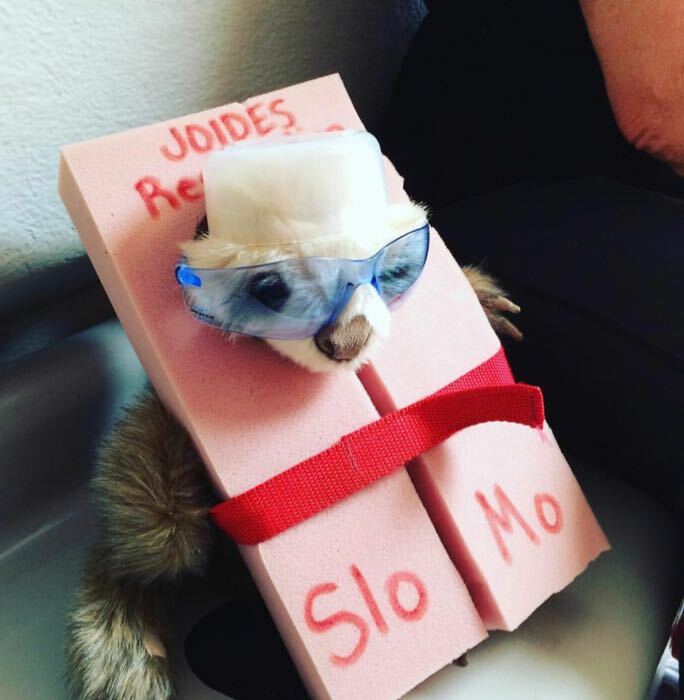 After travelling with me on an expedition in 2016 aboard the deep sea drilling ship the JOIDES Resolution, SloMo, a sloth puppet, joined my 7th grade class. 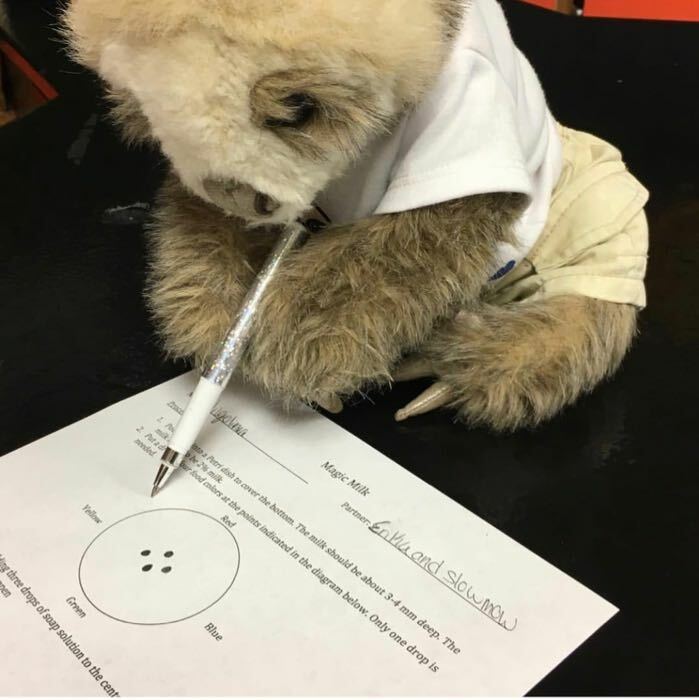 He is a great addition to our team in my science class and allows my students to connect science to their everyday lives. It is also a lot of fun following his adventures. 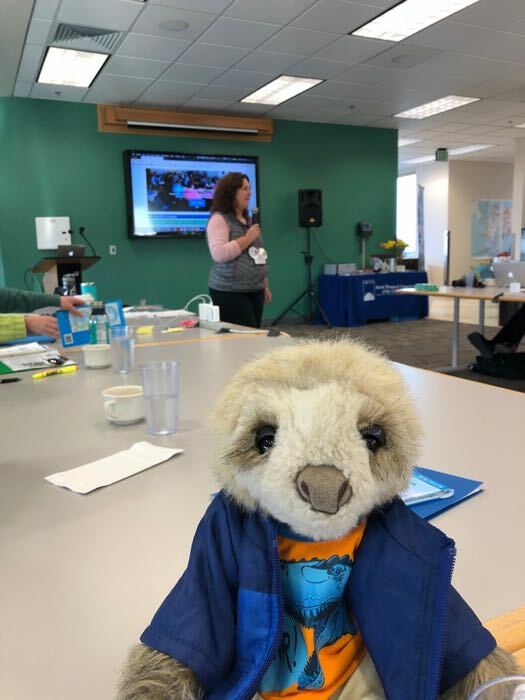 SloMo came along to orientation at the University of Alaska Fairbanks and he has been having a blast. There are many more adventures to come! 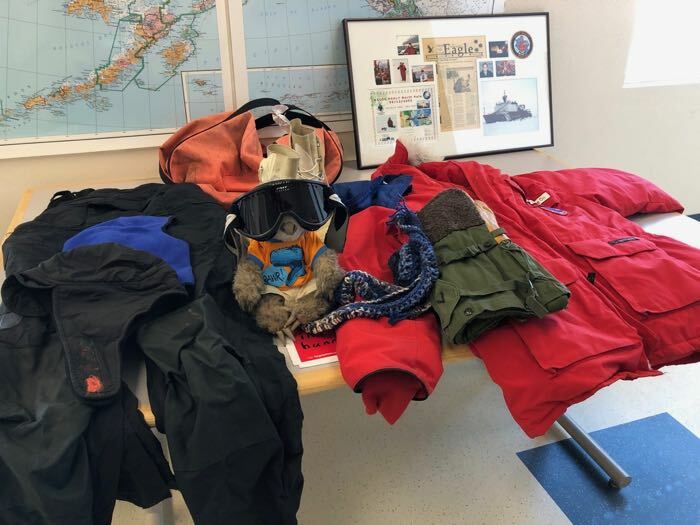 Follow along with our journey to the Arctic tundra! What a fun way to keep people engaged. I'm looking forward to following you and Slo-Mo on your expedition! Thanks Dominique! I can't wait to see what your next adventure will be! These SloMo photos are awesome! I look forward to following you (and him) on your adventures. I have had so much fun meeting and hanging out with you and SloMo. What an adventurous sloth! 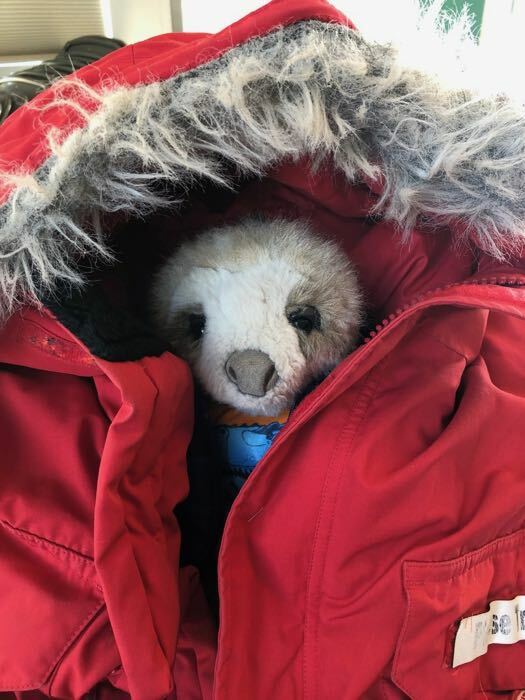 I look forward to seeing and hearing about more of SloMo's adventures while he helps you with your vegetation studies in the Arctic! I can't wait to see what is in store for SloMo! Is there anything he is nervous about concerning the expedition? 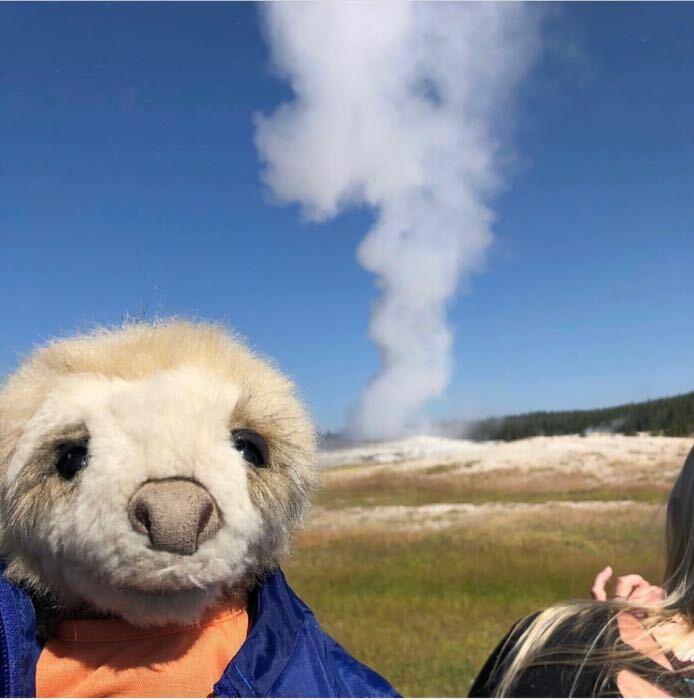 Looks like SloMO has gone on alot of adventures. wait a minute who are you????? It looks like SloMo had a great time. SloMo is the best Mascot ever! He is always traveling!!!!! 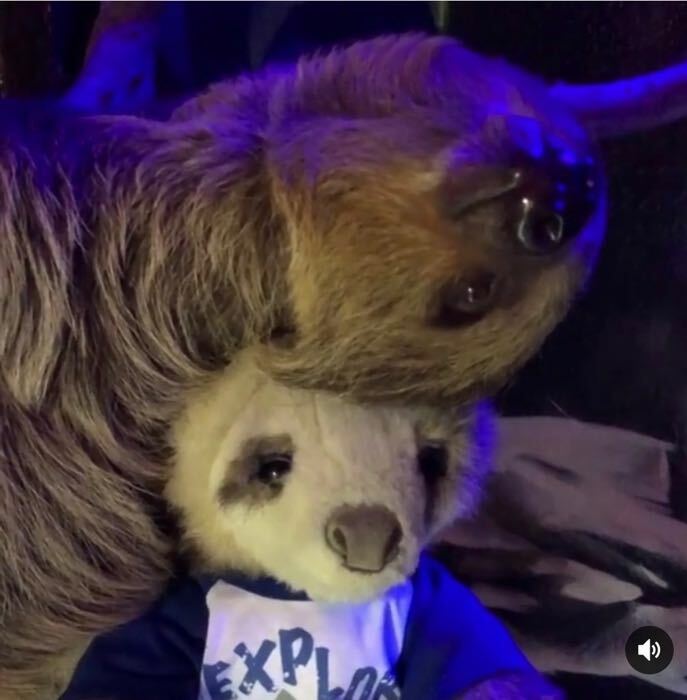 Looks like SloMo made a new sloth friend! This one is going to be a couple of questions. 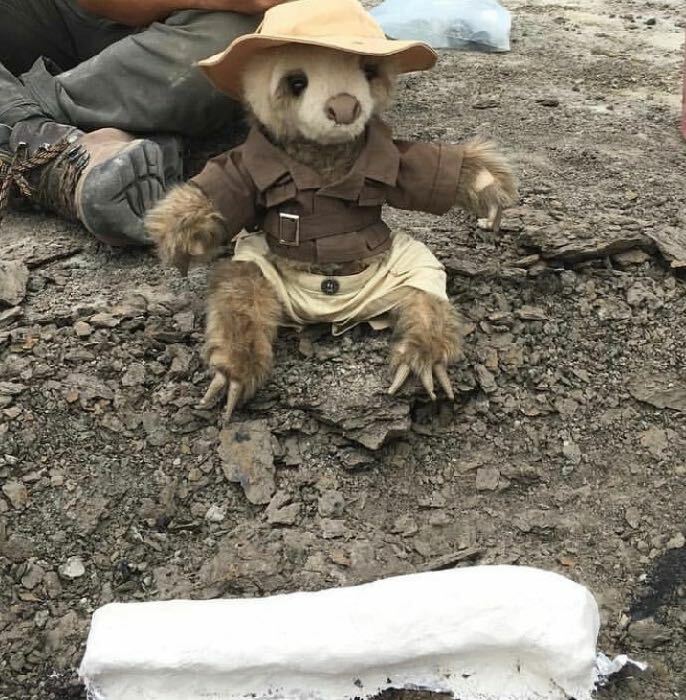 How many people were on the ship, did the picture of slomo and the sloth happen after or before you went to the Joides Resolution, how long did it last, I know the expedition had something to do with rocks but what was it. 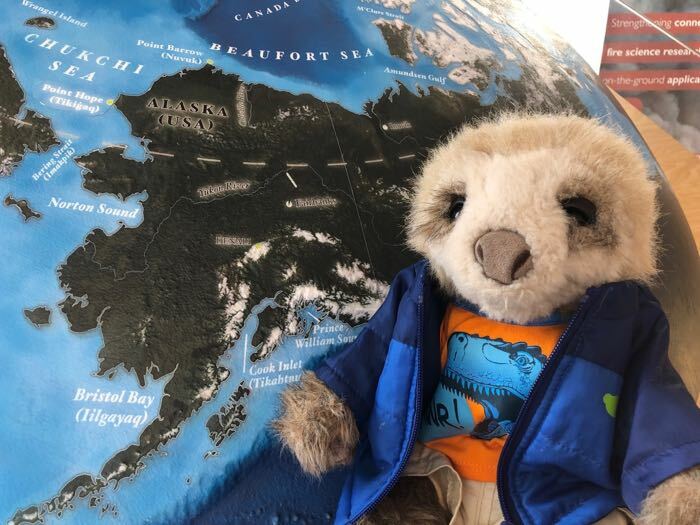 Seems like slomo has traveled more than me. Slomo must have had so much fun! It's really cool how slomo is apart of all these adventures. Did Slomo like the eggs? Can't wait to see what SloMo discovers in the summer!!!!! SloMo travels to more places than I do. How hot are the the hot springs. Why has Slomo been in more adventures than me.Wait ........I barely leave my house for school. Seems like another great adventure awaits SloMo! That must be a really fun experience. About how many degrees do you think it was at the hot springs? It looks like slomo is having so much fun. SloMo has gone on more adventures than I have! 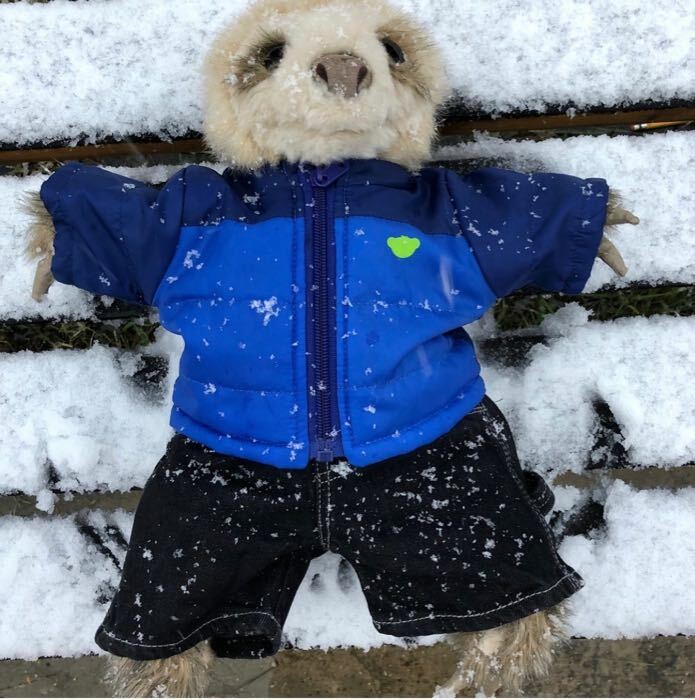 Slomo looks like he's having so much fun! He must've been so excited in this adventure! Since most of the places you've traveled to were on a airplane. Were you nervous on your first ever trip out of Texas? I was, but you get used to flying! 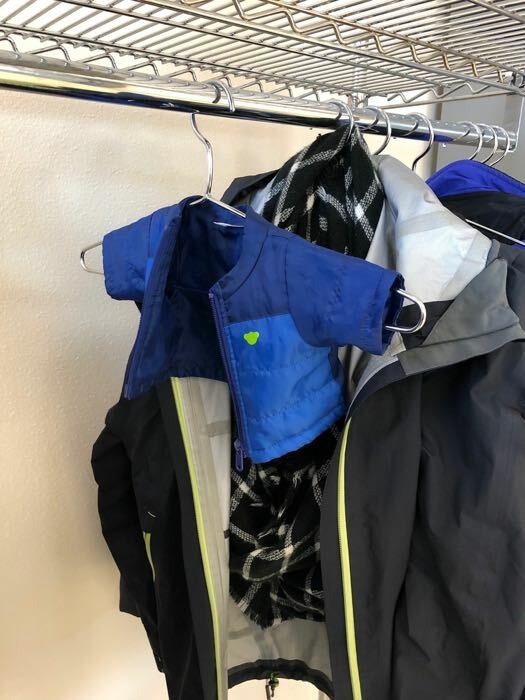 What was Slomo's life preserver made of? Foam. The official photographer gave it to me. Were the sloths long nails sharp ? They were long, but not that sharp. What encouraged you to get Slomo? and How did you get him?